What about an immersion in some of the best Sicilian wines? Just reserve of our villas in Selinunte, near Menfi, and enjoy the Inycon festival, from 23 to 25 June 2017, the oldest Sicilian event dedicated to high quality wine. Inycon will accompany you to discover the world of wine, enjoying wine tastings under the stars, exhibitions and tour of discovery of the wineries of the area. Inycon is a great event for the promotion of the huge heritage of local wines as well as the local quality production at zero kilometers of the territory. Menfi hosts a festival dedicated to wine, the true protagonist of an enchanting territory, characterized by vineyards going down to the sea, to be discovered either by bike or on horseback. The festival celebrates the millennial tradition of wine linked to the territory between tastings under the stars, shows and exhibitions. During the weekend you will appreciate the typical flavors of the area: preserves, oils, jams, liqueurs, also dried fruit, cheeses, cakes and buns in the characteristic courtyards of Via della Vittoria, combined with the best labels of the wineries of Terre Sicane Wine Route. The aim of the event is to enhance the territory from the point of view of wine, tourism and business community, promoting Terre Sicane Wine Route and the wineries of the area that has 7.000 hectares of vineyards, 40% of exports of the entire wine production of the island. 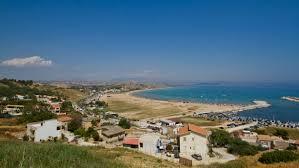 The event aims more and more on the valorisation of a territory with the strong identity of this glimpse of Sicily. Inycon is promoted by the municipality of Menfi in collaboration with the Si.S.Te.Ma. Wine and the Terre Sicane Wine Route.